Park officials are scrapping plans to build a controversial climbing gym on the north bank of the Spokane River near Riverfront Park. 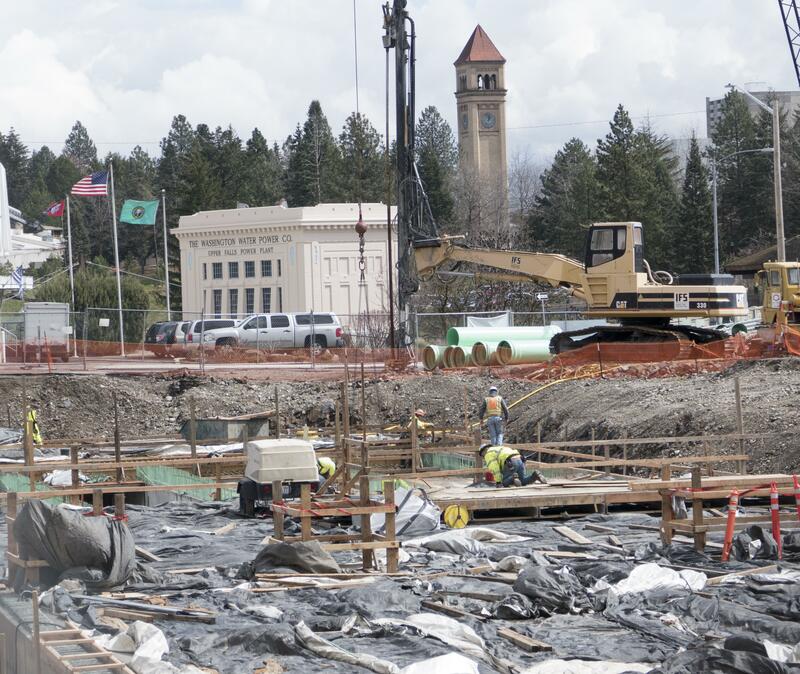 Spokane will rescind its request to a state agency to transfer restrictions on the Bosch lot, a 1.13-acre plot that has been city-owned since 1975, to another part of town, park officials said Wednesday. Such a transfer could have allowed the sale or transfer of that land to a private developer, including a Utah firm that had been in discussions with the city to build a 25,000- to 30,000-square-foot climbing facility on top of the stormwater tank currently being buried there. The city opened a 30-day comment period last month to gather opinions on transferring the land’s restrictions that it serve outdoor recreation purposes. That period was supposed to end Sept. 17 in advance of Spokane making its case to the Washington State Recreation and Conservation Office next month. Instead, the city plans to end the comment period and have larger community discussions about the future of the lot, said Garret Jones, planning and development manager for the parks department. “We’re going to take a step back and look at a visioning exercise for the whole area,” Jones said. The gym proposal met opposition from a local climbing business, which questioned whether Spokane could support additional gyms and why the city didn’t ask for a partnership with an Inland Northwest firm. Concerns also were raised about whether the city could legally sell the lot without a public vote, given a provision in the city charter that requires the sale of all parkland to go to the ballot for approval. City administrators also grappled with whether to get rid of Bridge Avenue between Monroe and Post streets on the south side of the lot, and make the right-of-way part of the green space plans. Timon Behan, the owner of Wild Walls, which opened in 1995, said he’s pleasedthe city scrapped the plan. “I hope that they use that lot for what it was intended for: outdoor recreation,” Behan said. The proposed climbing gym would have negatively impacted his business, he said. The Front Climbing Club, a Utah-based company, hoped to develop the proposed climbing gym on the Bosch lot. A local couple, Allison and Jess Roskelley, planned to be co-owners. Dustin Buckthal, the owner of the Utah gym, declined to comment. Allison Roskelley said the Bosch lot was just one property the Front Climbing Club was considering building the gym on. The city’s decision does not mean that the project is “dead,” she said. “Honestly, it’s unfortunate that it’s going to continue to sit as a dirt parking lot,” she said. The Utah company will continue to look at properties with the hopes of building a gym somewhere else in Spokane. “We believe in this project for Spokane,” she said. Initial public comments on the Washington State Recreation and Conservation Office swap focused on the climbing gym proposal and not the possibility of transferring the land’s restrictions, Jones said. “We did not want to present something to RCO that’s tied to some type of controversy in the future,” Jones said. Trailheads, green spaces and parking for future amenities in Riverfront Park are still options on the Bosch lot, Romero said. But the final product likely will not include a private component, he said. “I think probably we were a bit ahead of ourselves, quite frankly, with this process,” Romero said. Chris Wright, president of Spokane’s park board, stressed Wednesday evening that no formal proposal to build a climbing gym had come before them. Wright said he didn’t believe the board would object to going back to the drawing board on what to develop on the land, including potential permanent parking for the Riverfront Park redevelopment and trailhead facilities to serve the Centennial Trail. Half of the lot will be converted back to public parking for 60 vehicles after construction of the combined stormwater tank ends, according to the parks department. The other side will be used for construction staging. Published: Sept. 6, 2017, 12:11 p.m. Updated: Sept. 6, 2017, 10:46 p.m.